The countdown is nearing the two-week mark for Legacy FC 30 which will be held at the Route 66 Casino just outside of Albuquerque, New Mexico. The Legacy FC promotion will head into the state with some help as the show will have the partnership of Fresquez Promotions which has put on several events over the years featuring New Mexico’s most popular regional fighter, Holly Holm. On April 4th, the Legacy FC 30 show will feature WMMA rising prospect Holly Holm in her home-state. In our article last week, we discussed how this fight could be Holm’s last as a regional fighter but after some news broke this week (read that news here), it looks as if Holm’s UFC career is still quite a ways away. 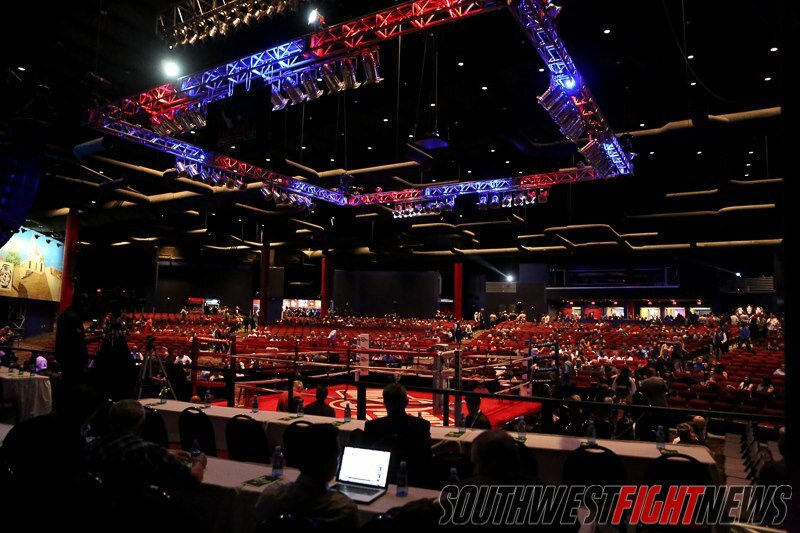 With that being said, there is another featured bout scheduled for April 4th that deserves a more in-depth analysis as it very well may be historical for MMA in the State of New Mexico. Just about four months ago, Southwest Fight News and the LowBlow Podcast came together to put together a hypothetical scenario where New Mexico’s premier 125-pound Flyweights would be placed into a tournament where Jorge Hernandez and I would stake our claim for who we thought would win. While many in the media scoffed at our idea to do a simulated Grand Prix style tournament, we were exceptionally satisfied in our efforts. The Flyweight’s in New Mexico represent arguably the most talented weight class in the state. Here is some excerpts from our article from November of 2013. 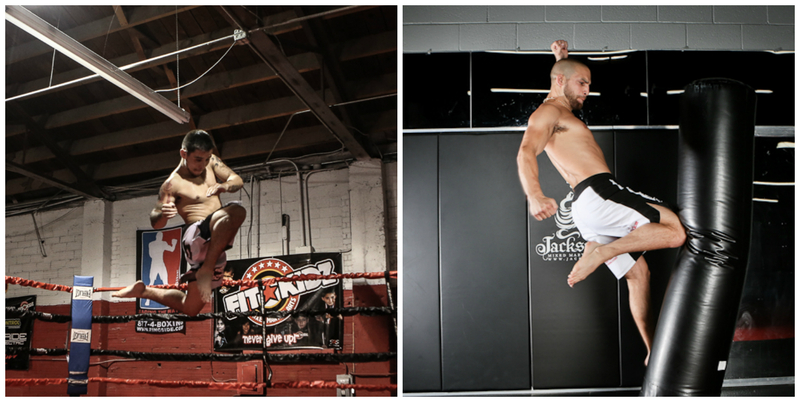 The common ground in both quotes are the Nick Urso based in that the Jackson-Winkeljohn fighter is very well-trained. What everyone here on staff can agree on however, is that the mixture of two top Flyweights combines for a recipe of awesome-ness for fight fans. The main reason this fight is so highly anticipated is due to the fact each fighter possesses talents that far exceed the level of expected talent for fighters currently on the regional circuit. There is nothing about each fighter’s talents that screams anything except for elite level skills. Borg (left) is on the verge of a monumental breakout in his MMA career. The undefeated Flyweight had an extremely career defining 2013 and will have the opportunity of a lifetime when he fights Nick Urso on April 4th as a featured fighter on the Legacy FC 30 fight card. FIT NHB’s Ray “The Taz-Mexican” Borg has that flashy style of fighting that doubles in danger because of his technical prowess that encompasses it. 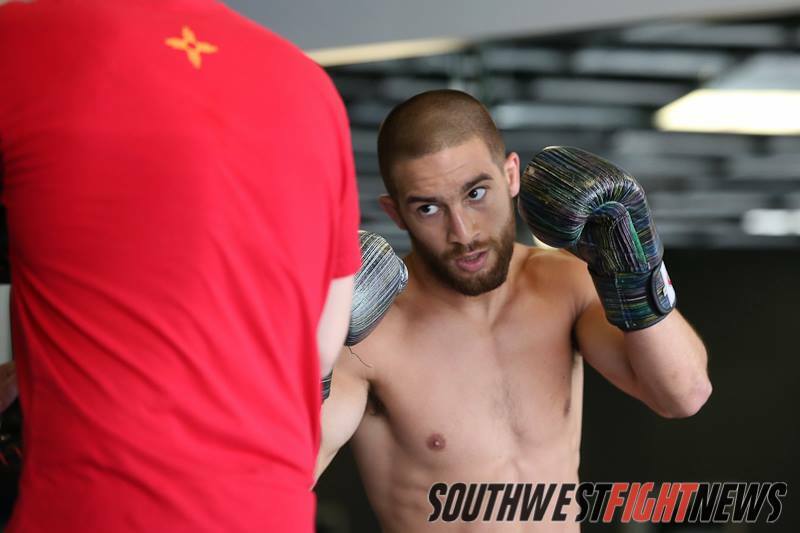 Ever since Borg made his amateur debut in September of 2011, he has shown blazing speed and remarkable confidence inside the cage where he would amass a 4-0 amateur record to compliment his current 5-0 professional record. Borg blazes in with whatever type of strike he sees fit to throw and he throws them with confidence and ferocity. Training with the dedicated coaches at FIT NHB, Borg has a full tool bag of tricks to use inside the cage. When you watch Borg in action, you’d think someone was controlling Borg’s movements like a video game. Whether he is launching a head kick or exploding into a flying knee, Borg is dynamic and unpredictable which makes his striking acumen extremely hard to adjust and counter. Borg’s real strength however lays within his grappling talents as the undefeated 125-pounder is exceptional in his wrestling and Jiu Jitsu skills. While Borg has submitted seven of nine career opponents, he isn’t doing so due to power or strength. In the regional circuit, it is customary to see fighters dominate from top position with ground and pound until they see their opening for submission but for Borg, it is his finesse and technically sound transitions that allows Borg the opportunity to win on the mat. In Borg’s marquee victory over the much larger Angelo Sanchez, Borg would blast through the veteran Sanchez with all types of takedowns. Borg’s explosion and technique make his takedown arsenal very difficult to halt and once the fight is grounded, Borg has capitalized on each and every mistake an opponent has made when scrambling. Nick Urso isn’t flashy; Nick Urso is the definition of fine-tuned, well-oiled, and technically sound. His world-class gym prepares him with all the professional preparation any fighter could dream of and he shows that to be true when he competes within the confines of the cage. Urso has won seven of eight professional fights and two amateur bouts. Urso is a big-body for the 125-pound weight class and he uses that size and strength to pack a punch when utilizing his technically proficient strikes. Urso has finished his last two opponents very quickly (two minutes and twelve seconds combined) with strikes and has announced himself to be one of the premier flyweight talents awaiting the UFC call to the big league. In his own right, Urso is very explosive as well; he’s capable of earning the takedown when he needs to get it and can finish fights on the mat whether it be defensively with a triangle choke or offensive, finishing two career fights via rear-naked choke. On paper, Urso would be listed as a striker as his hands are quick and crisp, and he is a menace inside the clinch where his strength bullies opponents and his knees are very dangerous from close range. The well-rounded fighter does not fit the mold of a regional fighter, Urso is equipped with talents in each and every facet of martial arts making him a dangerous foe regardless of a game plan. When I discuss intangibles with fight fans, I tend to immediately think of typical sports like basketball and football where I begin to list things like heart and toughness. MMA is all about fighters with heart and toughness or else they wouldn’t be able to keep up with the grind of training and the brutal nature of actual completion. With that being said, MMA’s intangibles are definitely more intimate in nature. MMA isn’t a team-sport despite many who will argue that their fight team or family means everything when competing but in the very simplest of definitions, MMA competition is between two individuals locked in a cage to unleash hand-to-hand combat at it’s very finest. Jackson-Winkeljohn product Nick Urso is atop the list of prospects in the Southwest Region. Many have wondered why he isn’t in the UFC yet, a win over Ray Borg would definitely validate that argument and propel Urso to that next level. If that is the case, Ray Borg’s intangible that stands out to me is that he knows how to win. He is undefeated and he has taken a step up to progress in his MMA career in each of his nine fights. His career progression has been perfectly etched out; from his first professional bout against the very experienced Gene Perez, to his marquee win over local legend Angelo Sanchez, and finally his title victory in Oklahoma over another blue chip prospect. His ability to win fights utilizing whatever method is necessary speaks volumes for the character of Ray Borg and that type of confidence and determination are skills that cannot be taught to bring into combat sports. The intangible for Nick Urso in my opinion is definitely hard-work without a need for motivation. Urso is constantly training and attempting to improve himself seemingly without the obstacle of being burned out or requiring any sort of “wake-up” to train harder. He is constantly in the gym, constantly working on improving fight attributes; and in a sport that is constantly evolving , that type of progress is necessary to continue climbing up the ranks. Of course, other intangibles are in the mix with Urso’s world-class training definitely being a factor. Urso is able to train with fighters such as UFC top contender John Dodson, newly signed and viable contender Zach Makovsky, and another new UFC contender Ali Bagautinov. The other intangible in place for Borg is that he represents the new “hybrid” movement of MMA fighters currently taking over the landscape of the sport. Borg is young, well-rounded and is part of the new breed that has been currently taking out the old-guard. That can best be displayed in his three rounds of dominant fighting over Angelo Sanchez. The two fighters represent the two most successful and iconic gyms from the state of New Mexico. Urso hails from the Greg Jackson and Mike Winkeljohn led MMA gym and Borg comes from a few miles down the highway, the Tom and Arlene Vaughn coached FIT NHB. For fight fans who do not follow the fight scene very closely, the discussion of the competitive tension between both gyms often goes unspoken as a taboo topic that many will not speak about in fear that they’d upset someone in the process. For those who do not know the backstory, the cliff note’s is as follows; Tom Vaughn and Greg Jackson have deep ties to one another in the training and coaching avenues, Carlos Condit once trained at FIT NHB prior to his UFC emergence, and many fighters have defected to each gym over the years. With those three points along with a whole slew of others make for a quiet yet intense rivalry within the confines of Albuquerque. This match-up is the first of its kind in that it will be the first meeting between competitors from each gym at this level of talent and relevance. 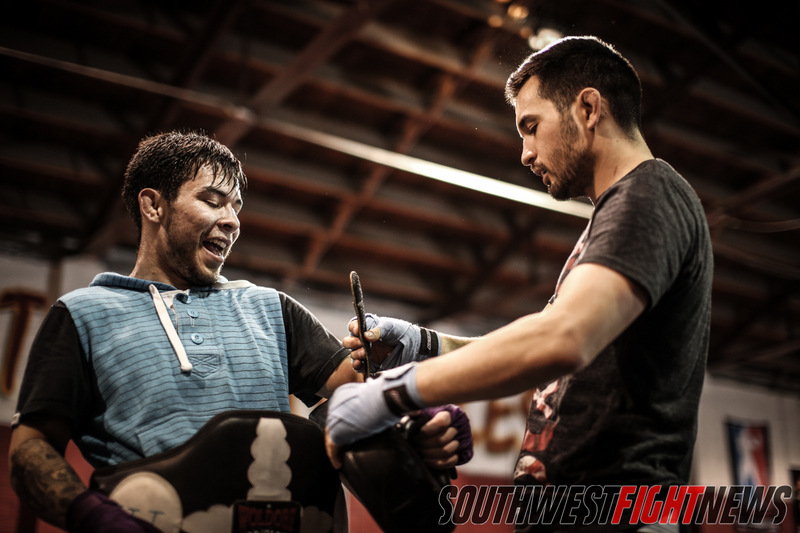 Ray Borg alongside teammate Tim Means is definitely the premier fighter representing FIT NHB and Nick Urso is arguably the best fighter out of the Jackson-Winkeljohn stable who is currently unsigned by a major promotion. With two premier talents fighting in the same weight class, many believed these two should be on a collision course but many recognized the gym affiliation would prevent the match making. Now, the two fighters will fight not only for their personal victory but as a catalyst to a very long, and very deep competitive rivalry. A win for Borg solidifies the FIT NHB gym as a respectable competitor to the world-renowned Jackson-Winkeljohn gym and for Urso, the win would solidify the opinion of many that the famed gym is head-and-shoulders above the rest. The intrigue of this fight goes deeper than just the match-up, history is on the line. I would argue that this fight is the biggest MMA fight in New Mexico’s storied history between two local fighters. In 2010, the show King of the Cage “Honor” featured a battle for the 145-pound title. Angelo Sanchez headed into the bout at 8-2 against Donald Sanchez, then 19-10. The two had fought a year prior with Angelo capturing a split decision victory in a “Fight of the Year” type fight that was controversial as many thought Donald would take the judge’s nod. The venue will trade in the ring for a cage on April 4th. The Route 66 Casino will be home to the Flyweight tilt between potential UFC standouts Nick Urso and Ray Borg. The rematch was part of a stacked fight card in Ruidoso, and the two had already started a heated rivalry that still buzzes to this day. The local brawl would once again go to a split decision, this time in favor of Donald Sanchez in a fight many argued should have gone to Angelo. Ten rounds, five rounds for each, in total a complete draw. The fight itself had a lot of buzz, the two fighters were polarizing figures, Angelo represented a huge fan base from the Pojoaque and northern part of the state and Donald brought his own massive following from the Albuquerque area. Up until this point in time, that fight had been the most relevant fight in New Mexico MMA history between two locals. It was for a title, featured some drama, and proved to be worth the build-up as the fight was awesome. Borg and Urso on paper rises above that fight as the state’s best ever; the two are vying for UFC placement on a fight card promoted by a company known to produce UFC fighters, and on AXS TV which is seen by a very large audience. Legacy FC obtains loads of national coverage and is also often featured on the Inside MMA show hosted by MMA legend Bas Rutten. Needless to further explain that this fight is very significant. The winner takes his career to the next level and the loser gets setback but is still so talented that they would be able to bounce back sooner than later.